Never heard of Dovid Lowy? Me neither. 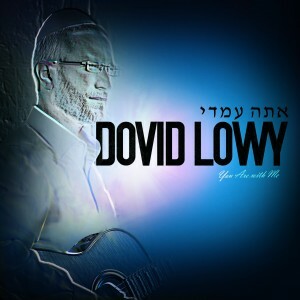 However, Dovid Lowy’s album is a solid album with beautiful songs that are primarily sung in a kumzitz style such as Eitan Katz, or Yosef Karduner. This album features songs composed by Dovid and special guests such as Abie Rotenberg, Yosef Karduner and Ari Goldwag. These songs will be sung over and over. Ata imadi: Song composed by Eli Klein. Arranged by Eli Klein and Yitzy Berry. This song also features the Shira B’Simcha choir. This song has a classic freilach sound with a heavy dose of horn lines. This song is a catchy tune with a costant refrain on the words “Ata Imadi”. Elokai: Song composed by Dovid himself. Arranged by Jeff Horvitch. This song features child soloist Dovid Pearlman. There is a nice full choral arrangement at the end of this track. This is a song where the words are a perfect fit for the music. This is a beautiful ballad that really gives heart to the words that are sung in this track. Niggun Hisorerus: Song composed by Dovid himself. Music & Choir arranged by Eli Woznica. This song features a heavy use of strings including a fiddle. This is an upbeat niggun that should fit well within dance sets. This song has an Ethan Katz style arrangement and feel to it. This is a lot of fun. Meheira: Song composed by and featuring Abie Rotenberg. Music and choir are arranged by Eli Woznicka. Whatever Abie Rotenberg touches is gold. This is a beautiful song that I am sure will be used by many at chasunas. Though it is a simple yet powerful arrangement, this song exudes emotion. Horeini: Song composed by Dovid and arranged by Jeff Horvich. The choir on this track was also arranged by Dovid. The song begins with a celtic violin sound, and then opens into a classic kumzitz style arrangement. The song’s simplicity is its beauty. The words of this song are quoted at the end of Mesillas Yesharim, and the impact and importance of these words is the message that this song represents. Ma Rabu: Song composed by Dovid and arranged by Jeff Horvich. English Lyrics provided by Eli Woznica and backup vocals by Ari Goldwag. This song is a beautiful ballad. The words Ma Rabu have always been a favorite of mine, and this song was chosen very well with this track. It is a beautiful song and a must listen! Chamisha Kolos: Song composed by Eli Klein and arranged by Eli and Yitzy Berry and features the Shira B’Simcha Choir. This song is a hora that would fit well in a wedding dance set. V’Hareinu: Song composed by Dovid and arranged by Jeff Horvich featuring the Moshe Roth choir. This song is a ballad with a simple guitar, drum piano arrangement. The vocals are filled with emotion and this track is simply gorgeous. Hineni: Song composed by Dovid and arranged by Jeff Horvitch. This tracks features backup vocals by Ari Goldwag. The words of this song are from the Shlah HaKadosh and are printed in the front of most gemaras. This is an energetic rock freilach. Hashiveinu: This song is composed by Dovid, arranged by Jeff Horvich and features a choir put together by Dovid. This track also features the legendary Yosef Karduner. This is a slow song with arrangements focused on strings including guitar and violin. There is a lot emotion in the instrumentation itself.